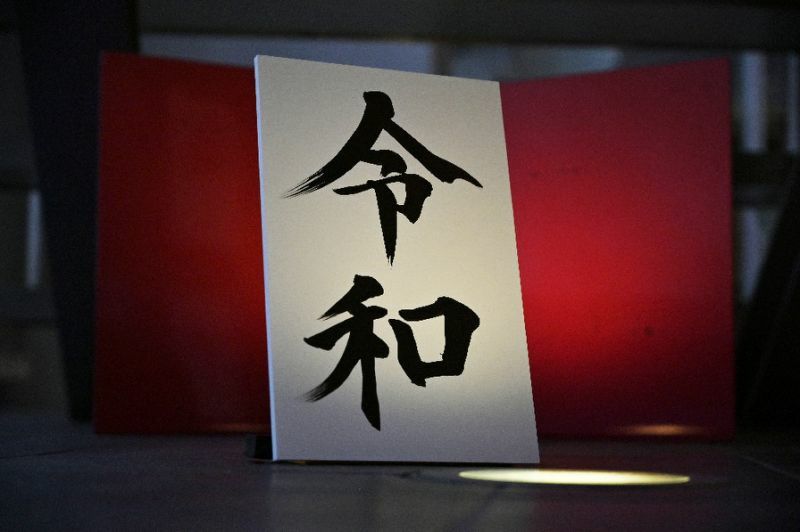 Overview: Japan announced the name of the new era that begins May 1 and a new emperor. The connotation is of beautiful harmony. And investors have taken the bit and run with it. Optimism that the US and China near reaching an agreement on trade. China and Europe have reported better than expected PMIs today. The US ISM manufacturing, reported Monday, was stronger than expected, led by employment and new orders. Yesterday the US reported stronger than expected March auto sales, which bodes well for consumption after disappointing January retail sales disappointed. With Prime Minister May reaching out to Labour, a softer and later Brexit still seem to be the most likely scenario, and this is supporting sterling while helping the overall investment climate. Global equities are rallying. The MSCI Asia Pacific Index rose to new four-month highs. The Dow Jones Stoxx 600 is higher for the fourth consecutive session and at its highest level since last August. Risk off is weighing on bond, where yields are higher across the board, with Italy's bond the main exception. The greenback is heavy, losing to all the major currencies but the yen. The relatively higher vol, Australian and New Zealand dollars are leading with way with Sweden and Norway. China's official PMI was stronger than expected. Many pundits dismissed it as they are skeptical of all Chinese data. However, confirmation was provided by the Caixin survey, and many seem more willing to accept the results. Caixin's composite PMI rose to 52.9 from 50.7 in February. It is the strongest since last June. Chinese stocks rallied, but bonds slumped, with the generic 10-year bond yield rising eight basis points to 3.25%, the highest of the year. Some see the PMI reports as making a near-term cut in reserve requirements less likely. We have not given up on the idea, and the Q1 GDP due on April 16 may be key. Japan's economy, though it is still struggling. Previously, we learned that the manufacturing PMI remained in contraction (49.2 vs. 48.9), and while services are expanding, they are slowing. The service PMI eased to 52.0 from 52.3. The composite reading slipped to 50.4, the lowest since September 2016. The economic weakness has spurred speculation that the sales tax hike in October may be postponed again. We think the bar to this is very high as the government has already provided some offsets, and Abe had campaigned for it over opposition that wanted to scrap it. Australian data were mixed. The composite PMI remained below 50 for the second month in March, but February retail sales jumped 0.8% (median Bloomberg forecast was 0.3% after 0.1% in January). It was the largest increase since November 2017. Separately, Australia reported a larger than expected February trade surplus, helped by an 11% jump in the exports to China for a 22% increase year-over-year. Exports to Japan fell 14% in the month. The dollar has traded on both sides of yesterday's range so far today and a close above yesterday's high (~JPY111.45) would be seen as a constructive technical development. Two large expiring option strikes likely range. There is a $2.3 bln at JPY111.15 and $1.8 bln at JPY112. That said, we suspect the JPY111.60 approached in the European morning may offer a cap in the North American session. The Australian dollar is moving higher and is approaching a downtrend line from the late January high and is found now near $0.7130. A break of this will likely spur a run toward $0.7200. Earlier in the week, the eurozone disappointed by reporting deterioration in the manufacturing PMI from the flash report. Today, it the final service and composite PMI came in better than the flash readings. The service PMI rose to 53.3 from the 52.7 flash. It is the second consecutive increase. The composite improved to 51.6 from 51.3 of the preliminary reading. However, manufacturing is a drag, as the composite stood at 51.9 in February. Strength was seen in the periphery. Italy's service PMI rose to the highest since September, and the composite moved back into expansion mode at 51.5, for the first time this year. Spain went from strength-to-strength. The service PMI rose to 56.8 from 54.5, and the composite rose to 55.4 from 53.5. The French services were revised up but are still contracting as is the composite. Separately, the French government trimming this year's growth forecast to 1.4% from 1.7%. One of the knock-on implications, unless remedial action is taken, will be a larger budget deficit. German services were also revised up, but the poor manufacturing saw the composite slip to 51.4 from the 51.5 flash. EC negotiator Barnier said the Withdrawal Bill is still the only guarantee of an orderly exit for the UK. He opined that a disorderly exit was "very likely." Dutch Prime Minister Rutte said it was a "probability." The House of Commons is expected to consider a motion that would block a no-deal exit. May is pushing for the Withdrawal Bill. The more the other alternatives are blocked or rejected, the Withdrawal Bill may look increasingly like the less odious outcome. Without it, the UK will have to ask for a longer extension. Some think that May has turned to Labour, the largest opposition party too late. With Labour tightening the polls, Corbyn may see little incentive not to let May hang by her own petard. The euro is snapping a six-day slide today. It has recovered from yesterday's dip below $1.1190 to probe the $1.1250 area. The intra-day technicals warn further strong gains may be unlikely, and there is nearly one billion euro in options at $1.1295-$1.1300 that expire today. The $1.1285 area is a retracement objective from the sell-off that began with the ECB meeting, and the 20-day moving average is near $1.1280. Sterling is firm near $1.3200. There is a GBP584 mln option at $1.3190 that will be cut today. ADP reports its estimate of private-sector payroll growth. It is not as volatile as the official data and barring a major downside surprise, participants will continue to look for improvement in the official data after the poor 20k increase in February. Four Fed officials will hit the wires today, and we expect them to play down called for immediate rate cuts. They will likely try to rein in expectations for rate cuts by reiterating the FOMC statement and the belief that the economy remains resilient. WTI for May delivery pushed above its 200-day moving average yesterday and is holding above it (~$61.65) today. It is the first time since last October. Although API estimates that stocks rose by 3 mln barrels, the EIA is expected to report a drawdown. OPEC output reportedly fell for a fourth month, with Saudi production falling to a four-year low (~9.82 mln barrels a day). The output from Venezuela appears to have fallen by 400k barrels a day in March (to 600k). The Trump Administration appears to be looking for ways to soften the economic impact if it is decided to close the southern border as threatened over the immigration dispute. It seems to want to stop the people but not the trade. However, reports suggest that the trade tensions with China make Mexico an attractive export platform into the US. Many see that when China joined the WTO 2001, numerous industries left Mexico for China. The idea is that industries may return. The US dollar is pushing lower against the Canadian dollar. Having found resistance near CAD1.3375, the greenback is slipping through CAD1.3300. Support is near the late-March lows near CAD1.3250. The dollar was testing MXN19.50 at the end of last week. It is trading below MXN19.15 today. The MXN19.11 and MXN19.03 are the next retracement targets.